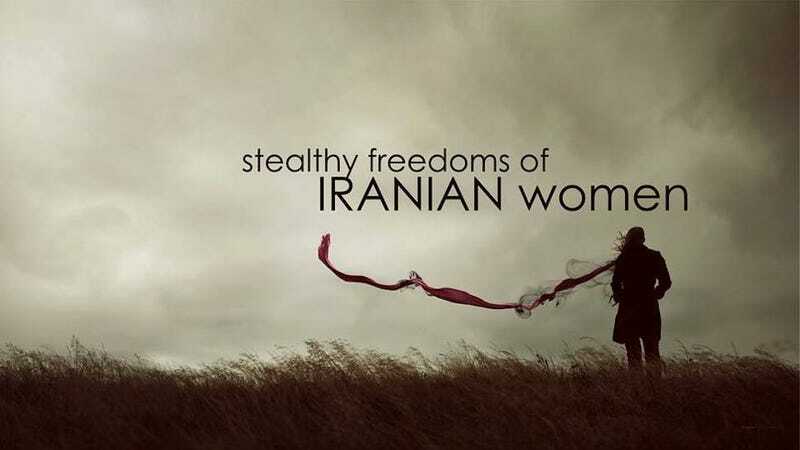 About five weeks ago, Masih Alinejad, an Iranian journalist living in London, created a Facebook page entitled My Stealthy Freedom, encouraging women to Iranian women to submit pictures of themselves without wearing their mandatory hijab. The bold page is meant to challenge the idea of compulsory traditional dress, stating it "reflects the concerns of Iranian women, who face legal and social restrictions." It has amassed over 470,000 likes and has become a movement, with thousands of women taking to social media using the hashtag #mystealthyfreedom. "Masih Alinejad is a whore, and not a heretic as some people claim her to be…We shouldn't elevate her to the level of a heretic. She's just trying to compensate her psychological (and probably financial) needs by recruiting young women and sharing her notoriety with younger women who are still not prostitutes." Alinejad has refuted these egregious allegations as nothing more than an attempt to disgrace her and discredit the movement. They are simply untrue. Alinejad told ABC, "They see I haven't done anything wrong, I haven't even asked them to take off the scarf, I'm just reporting about what exists, and I got attacked by the government. Why? Because I didn't ignore these women." The attack is certainly an extreme measure—one that indicates that Iranian authorities are clearly shaken up by the power of My Stealthy Freedom. As Julia Carpenter points out at Washington Post, the state's attack on Alinejad is nothing short of typical, a standard practice aimed at journalists working abroad. While it certainly is predictable that power structures will always take to the basest of attacks in face of perceived radical change, these accusations are still horrific and demeaning to women in general. Of course, Alinejad is not alone. Along with the My Stealthy Freedom movement, Alinejad's friends, fellow journalists, and supporters are encouraging her, having created the "We Are All Masih" Facebook page, spreading a petition, and garnering support to take up legal action. Deciding what you can wear is a form of freedom of speech. And that is a luxury not available in Iran. But the stealthy women wanted to show a different face of Iran that is often ignored by the state-controlled media and the visiting Western media. …The authorities' reaction to My Stealthy Freedom has to be seen in a bigger context: whenever Iranians are given the choice, they opt to move forward and not back to the so-called golden age of Islam in the 7th Century. Despite whatever attacks are hurled at Alinejad, the My Stealthy Freedom movement has clearly resonated with Iranians, proving that regardless of political affiliation the right to choice and expression is powerful enough in and of itself. Image via My Stealthy Freedom Facebook page.